Scores of innovative companies have emerged in the last decade aimed to disrupt the commercial real estate brokerage sector. While billions of dollars invested have improved everything from lease management to securing deal funding, the commercial appraisal sector remains in the shadow. According to IBIS World, the commercial appraisal sector is a $4 billion-dollar industry. 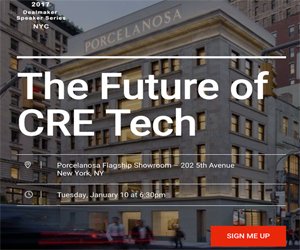 With a significant slice of the CRE pie, plus the uptick in technology applications across the sector, the property valuation business is ripe for the same innovation witnessed in other segments of the CRE world. Appraisers will benefit from better systems leveraging technology to aid with the valuation process. Since the prior market recession, lenders have steadily increased the amount of required detail in appraisal reports. However, the fee scale has not kept pace with the work necessary to generate increased information. Consequently, appraisers are working harder on each appraisal but earning the same fee. Technology helps appraisers speed up their process while ensuring their reports remain accurate. What can emerging technology do for the appraisal market? Not every appraisal company can afford to develop an in-house technology platform. The national brands have all created their own proprietary in-house technology systems to maximize their appraisers’ billings and provide a competitive advantage over smaller, less-capitalized firms. As a result, larger firms can be a more attractive choice for potential new hires. However, less than 15% of commercial real estate appraisers work for large national corporate commercial real estate brands. The majority are sole proprietors or appraisers with small, independent commercial real estate valuation businesses. This leaves a large market available for new technology companies to disrupt the commercial appraisal sector and bring new innovation to make their operations more profitable while also restoring some work/life balance to a notoriously overworked profession. VALCRE is a technology solution leveling the playing field for appraisers. Its Software-as-a-Service (SaaS) platform serves customers all over the USA and into Canada. Appraisers write robust appraisal reports faster, with fewer errors, and more information thanks to the integrations ready-built into VALCRE. Manage jobs and clients, store comparable data, and adapt USPAP-compliant commercial appraisal templates to produce professional reports. For a low monthly subscription, VALCRE users have a custom white label product scalable to client needs. Reports incorporate the appraiser’s branding for a professional look. The dashboards provide quick access to everything an appraiser needs to manage their tasks: clients, invoicing, billing, and more. In summary, it checks many of the technology boxes appraisal professional need to run a successful business. Tools like VALCRE set a new standard in accuracy, efficiency, and professionalism of commercial real estate valuations. This emerging technology helps appraisers handle the increased demands of clients even though their fees remain unchanged, leading to better profit margins.